Scattery View Cottage is a detached cottage in the grounds of the owner's home, 3.8 miles from the village of Tarbert, County Kerry. The cottage sleeps six people and has two double bedrooms, a twin accessed by an open tread staircase and a family shower room. It also contains a fitted kitchen and a sitting room with a solid fuel stove. Outside is off road parking and shared use of the owner's garden. 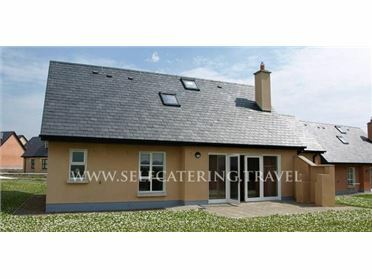 Set in a beautiful coastal setting, Scattery View Cottage is a lovely family holiday home in County Kerry. The village of Tarbert is situated overlooking one of the prettiest parts of Shannon in County Kerry. The village offers numerous scenic walks together with a range of shops and pubs. County Kerry is a mystical and unspoilt part of Ireland, with spectacular natural beauty and a fascinating history. Facing the Atlantic Ocean, it features many sandy beaches, rocky inlets and stunning peninsulas..